The Canary Island holiday retreat of La Gomera is the perfect destination if you are looking to discover some winter sun. Once Christmas is over, the January blues are never far behind and this can encourage many people to look towards foreign shores in the hope of escaping the cold and miserable surroundings of a post-yuletide Britain. The Hotel Jardin Tecina, situated in the south of this beautiful island, can provide the perfect accommodation for your winter break. There are excellent sea views on offer, as well as multiple dining venues, relaxing facilities and plenty of romantic walking opportunities in the surrounding area. So, let’s take a look at why you should make this resort your temporary winter home. The year-round climate of the Canary Islands is an enviable one. And this means that, even in the winter, you can enjoy high temperatures, plenty of sunshine and fewer rainy days than if you were to stay in the UK. As Hotel Jardin Tecina is located in the south of the island, it experiences even better weather than other parts of La Gomera. This is helped by the warmth of the Gulf Stream which passes by the coast line and means that there is never an excuse not to take the plunge when you head down to the beach. 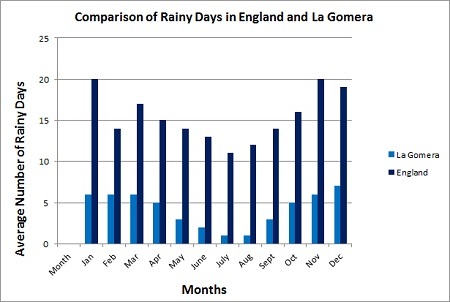 Besides the fact that it has a great climate, La Gomera also has excellent appeal due to its proximity to Britain. There’s no need to travel thousands of miles in search of the sun when this picturesque paradise is just a short flight away. 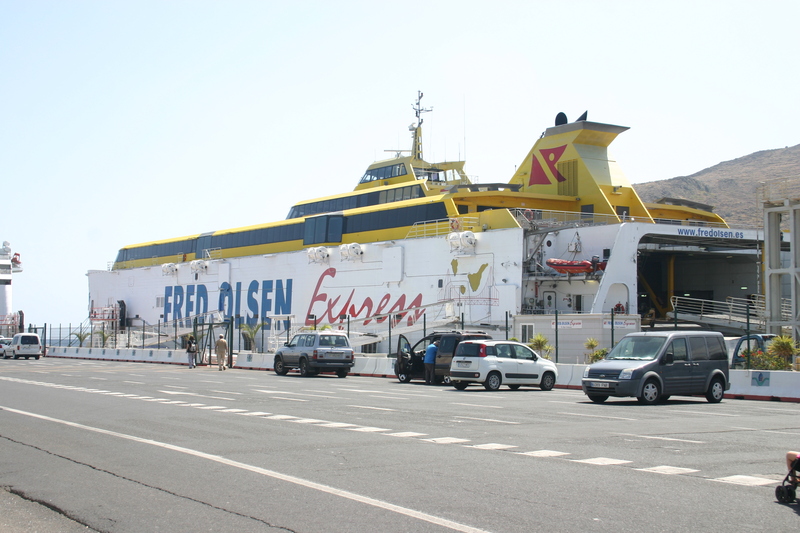 A four hour flight to Tenerife is followed by a short ferry crossing and, before you know it, you will find yourself lying on a sun lounger with a drink in hand and not a cloud in the sky. And the fact that you haven’t had to endure a long-haul flight to get there will mean that you can start relaxing straight away without feeling like you need a good night’s sleep first. There’s more good news too. 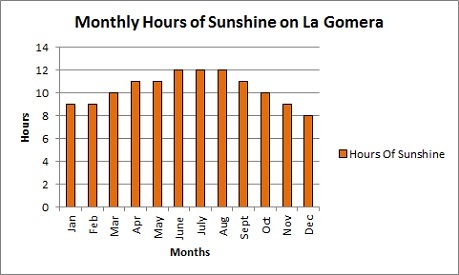 Jet lag is all but eliminated by the fact that there is no time difference between the UK and La Gomera. 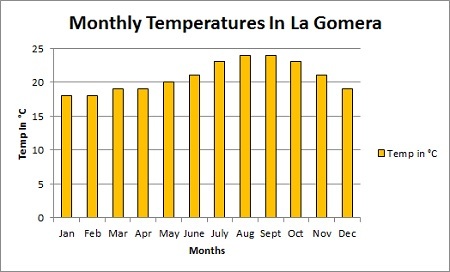 As we discussed in a previous blog post, La Gomera is definitely one of the quieter Canary Islands. And during the winter months things are even more serene. This not only means fewer people around the pool but also better deals on flights and accommodation and cheaper prices in the tourist parts of the island. Once the madness of Christmas has subsided, perhaps tranquillity will be the last thing left to tick off from your wish list. Our hotel in La Gomera can provide this in abundance, whilst the rest of the island soothes you with its breath-taking natural beauty and effortless charm. If you would like to seek the sun at the Hotel Jardin Tecina then Fred.\ can find the right deal for you. Call today for more details or make an enquiry online.